[SatNews] Tyvak, a leader in nanosatellites and turnkey smallsat solutions, has formed a strategic alliance with Kongsberg Satellite Services (KSAT), a top provider of polar orbiting satellite ground station services. 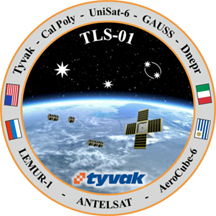 This alliance, finalized during the 2014 Small Satellite conference in Logan, Utah, leverages KSAT’s recently announced KSAT Light Network of ground stations with Tyvak’s technical capabilities and innovative approaches to satisfy the entire service chain required by satellite operators: satellite design, production, launch support, and ground station and operations services. 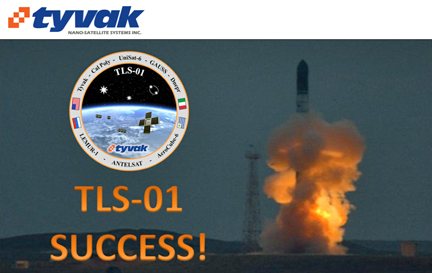 “This alliance with KSAT continues Tyvak’s efforts toward providing a one-stop shop for customers looking for complete end-to-end smallsat services,” said Marco Villa, Tyvak’s President and Chief Operating Officer. “An extensive network of cost-effective ground stations to send and receive data to and from satellites is without doubt one of the key pieces to maximizing the capabilities of the new generation of small satellites. And that’s what KSAT has created and why we at Tyvak are so excited to be able to include KSAT’s network in the services we can o#er to our customers,” Villa added. KAST networks can handle and support X- and Ka-, and as well as S-band and UHF frequencies.